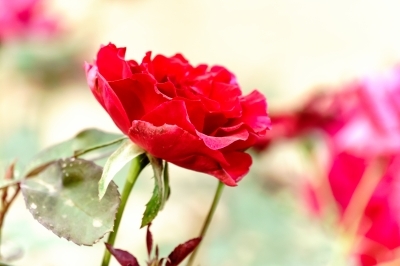 I was sitting in a meeting last week, and the leader of the group opened the conversation by asking those present to share what their “roses and thorns” had been for the past week. Given my task-oriented nature, and the fact that I know zip about flowers, I almost said out loud “what the heck are you talking about”? I’m glad I held my peace. What proceeded was one of the more open, productive conversations I’ve heard in a long time. By allowing people a little time to check in with each other, share, and in some cases vent, the meeting that followed was a lot more productive and focused. This was great team or group facilitation. So, what do I mean by these somewhat odd terms? Roses: What has gone well, what did you enjoy, what did you learn, what was a success for you? Thorns: What was difficult or challenging, what got in the way, what didn’t go so well for you? Whether you use the terms “roses and thorns” or “wins and disappointments” or any other terms you may wish, it doesn’t matter as much as the idea of taking the time to check in. A few minutes invested at the beginning of a team meeting focusing on the people present can set a positive, productive tone for the rest of the time together. The responses don’t have to be work-related. This can be a non-threatening way to learn more personally about each other. As you ask the question, listen not only to the verbal responses but also notice the non-verbal cues, such as the energy and mood generated from sharing. Make a note of the roses – what was the team excited about? What are your team members interested in, or what do they enjoy doing? When work-related thorns are presented, don’t feel the need to immediately jump in and fix everything. Certainly, as the team shares, you might find some themes emerge that could lend themselves to further discussion and review. Of course, this should be a voluntary process, and you need to make it OK to opt out if someone doesn’t want to participate. The higher the trust among the participants, the more open the discussion will be. As with any tool or process, using this approach too often or at the wrong time can ruin its effectiveness. However, if you think your team could use a little “break” and would enjoy connecting with one another at another level—try it, and you’ll probably gain some valuable insights about your colleagues.